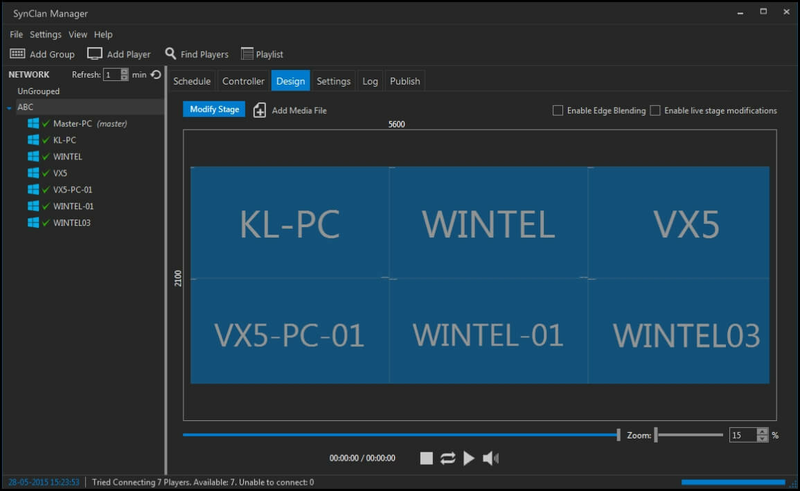 Synclan Manager, a part of asymmetric software, a product so powerful that it adds a new dimension to your visual communications. Create state-of-the-art video walls, run stunning visuals and get more out of your campaigns than ever. 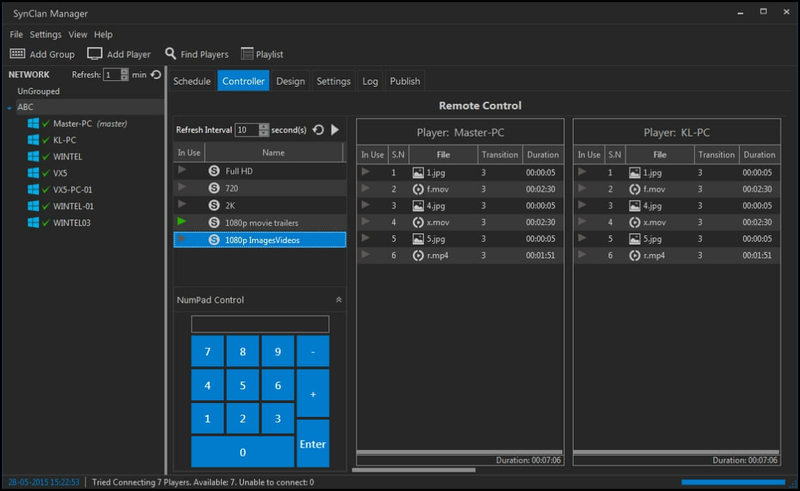 The SynClan manager is a truly powerful tool that allows you to not only control pre-created content for your asymmetric wall, but design and simulate your video wall with live video cropping, bezel management and rotation options. Its clean and intuitive interface lets your creative imagination materialize in extensive ways and all the features sorted out in its respective positions with all applications given separate areas to be used. Synclan Manager is a multi faceted tool and its ease of use has defined its reach among the beginners as well as experienced users. 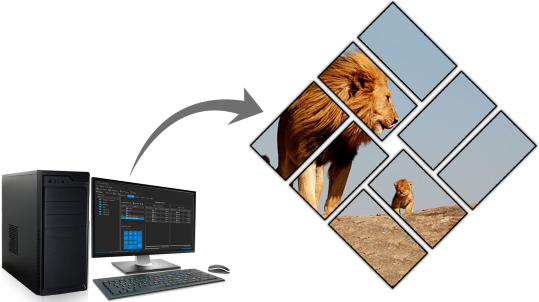 As a multi-display software, SynClan Manager offers you the versatility of operating multiple screens effectively, by letting you directing images, video/audio and live capture across multiple display systems seamlessly in a synchronised fashion using projectors, LCDs and LED walls. 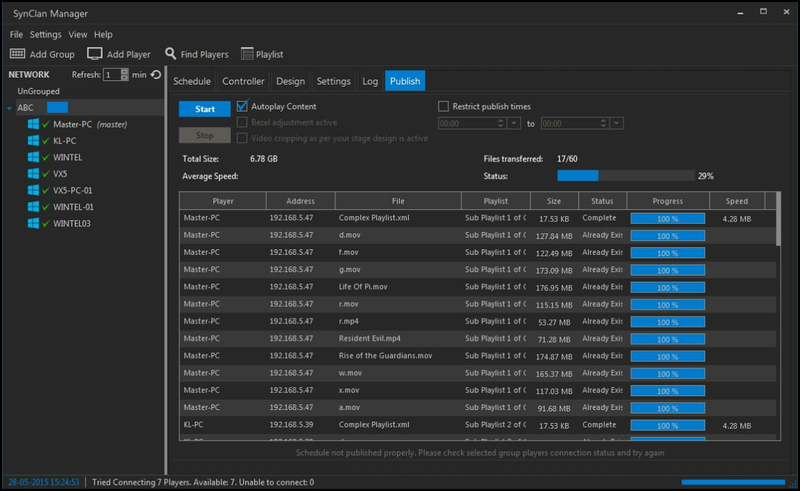 It allows you to add multiple Clients and play individual videos, as part of a bigger picture. 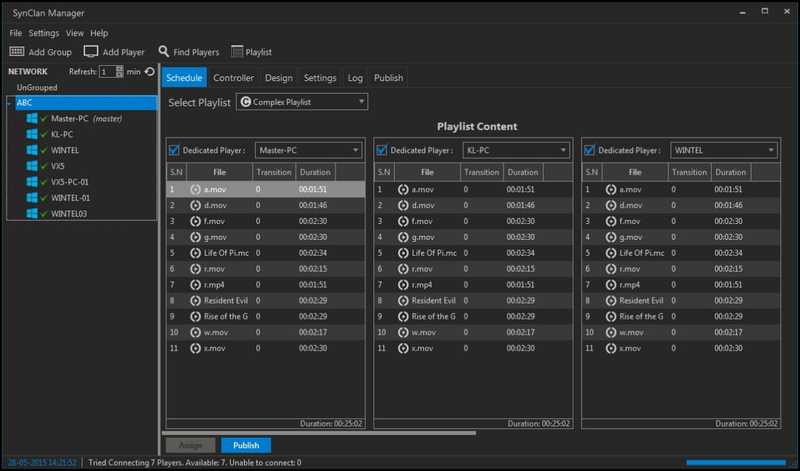 It even allows ‘single/group edit’ functionality, making it extremely versatile while handling high-resolution content. External Video via Tuner/Capture Cards lets you display live TV, camera feeds, VGA, DVI, HDMI and other external inputs. Design video wall stage layout and apply video cropping and bezel correction. 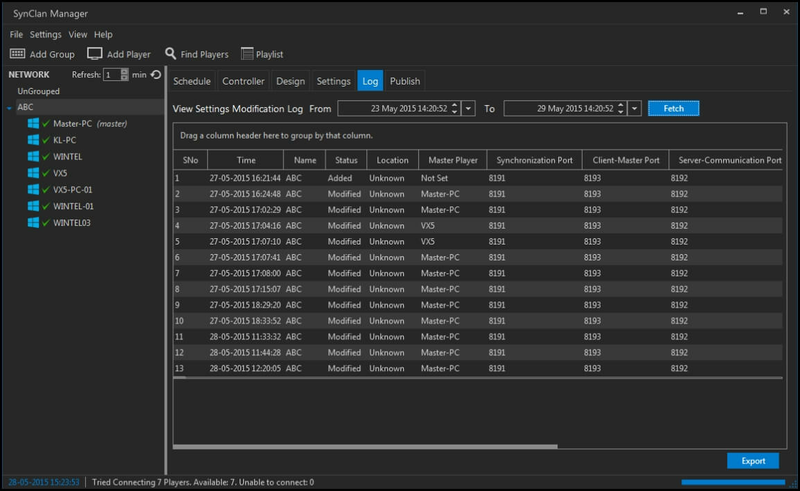 Real-time health logs of all players engaged in playing content. 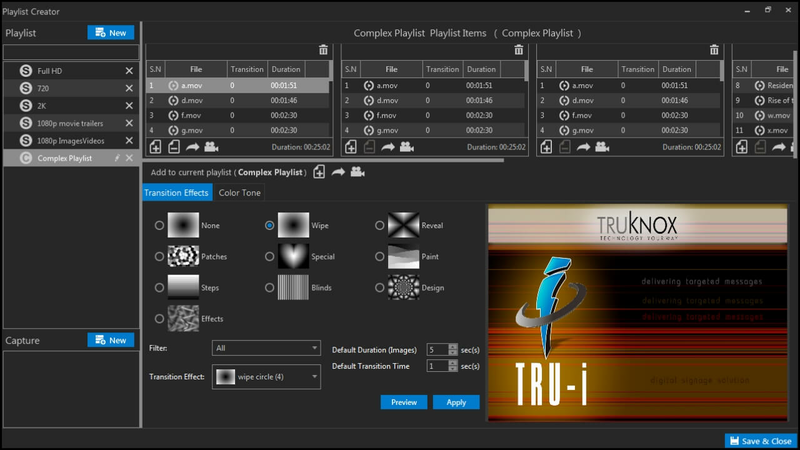 Loop single/multiple item in the playlist. Simulate content preview before actual execution. Use edgle blending for multi-projection setup.